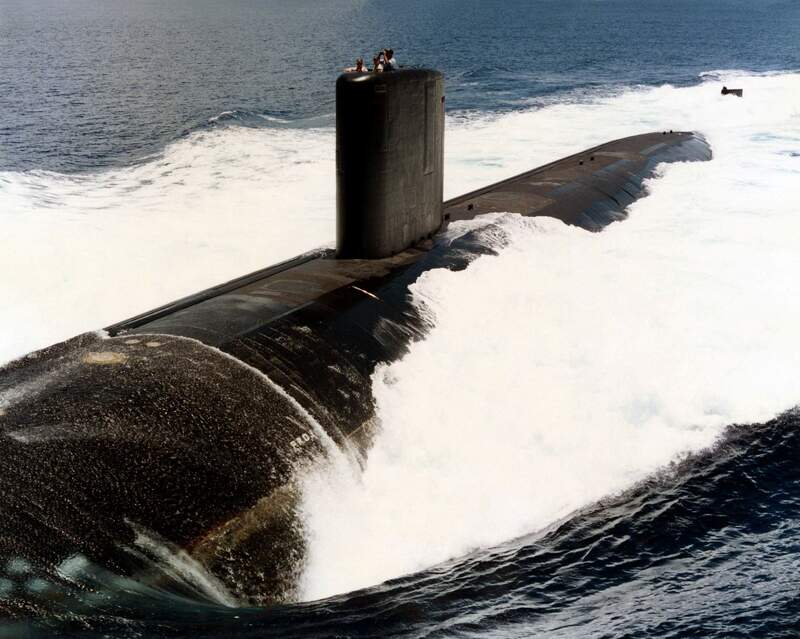 Los Angeles Class (Improved) Attack Submarine: Laid down, 9 January 1991, at the Electric Boat Division of General Dynamics, Groton, CT.; Launched, 1 August 1992; Commissioned, USS Columbus (SSN-762), 24 July 1993. 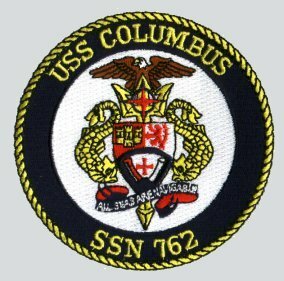 Columbus is assigned to the US Pacific Fleet and is homeported at Pearl Harbor, HI. Specifications: Displacement, Surfaced: 6,000 t., Submerged: 6.927 t.; Length 360'; Beam 33'; Draft 29'; Speed, Surfaced 25 kts, Submerged 30+ kts; Depth limit 950'; Complement 129; Armament, four 21" torpedo tubes aft of bow, Harpoon and Tomahawk ASM/LAM missiles from 12 VLS tubes, MK-48 torpedoes; Combat Systems, AN/BPS-5 surface search radar, AN/BPS-15 A/16 navigation and fire control radar, TB-16D passive towed sonar arrays, TB-23 passive "thin line" towed array, AN/BQG-5D wide aperture flank array, AN/BQQ-5D/E low frequency spherical sonar array, AN/BQS-15 close range active sonar (for ice detection); MIDAS Mine and Ice Detection Avoidance System, SADS-TG active detection sonar, Type 2 attack periscope (port), Type 18 search periscope (starboard), AN/BSY-1 (primary computer); UYK-7; UYK-43; UYK-44, WLR-9 Acoustic Intercept Receiver, ESM; Propulsion System, S6G nuclear reactor one propeller at 35,000 shp. Improved Performance Machinery Program Phase I [on 688 Improved]. 416k The Columbus (SSN-762) is launched on 1 August 1992. USN photo courtesy of Scott Koen & ussnewyork.com. 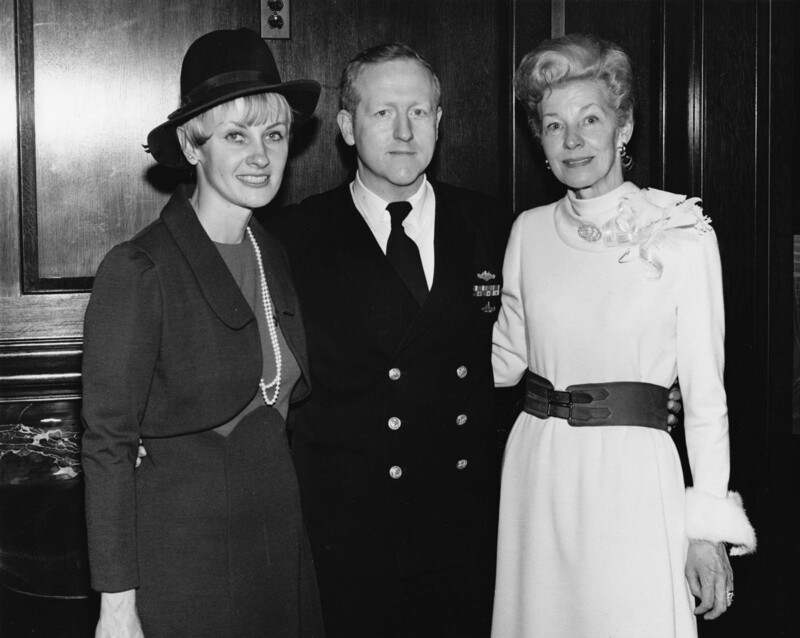 271k CDR DeMars at the 1972 launching of Cavalla (SSN-684), with his wife Margaret at left and ship's sponsor Mrs. Melvin Price at right. 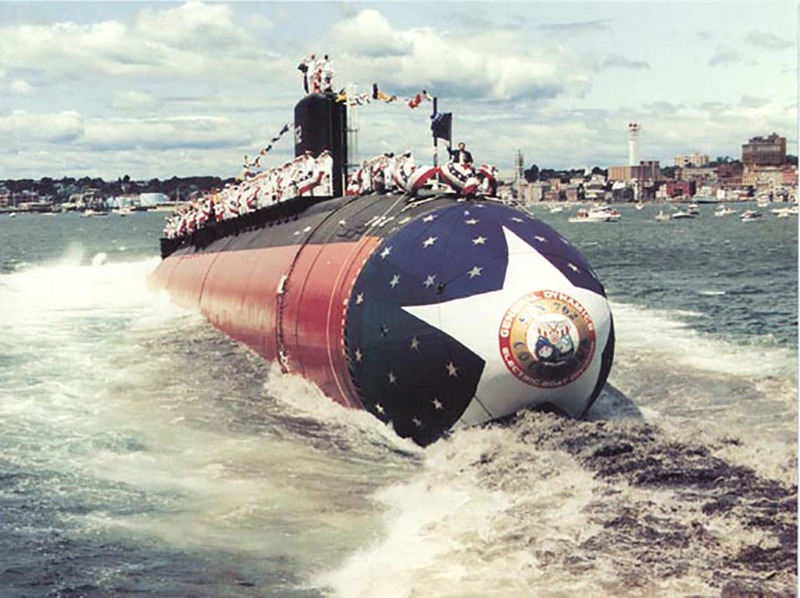 Margaret DeMars would get her chance as the Columbus (SSN-762) sponsor on 1 August 1992. USN photo courtesy Naval Historical Foundation via Bill Gonyo. 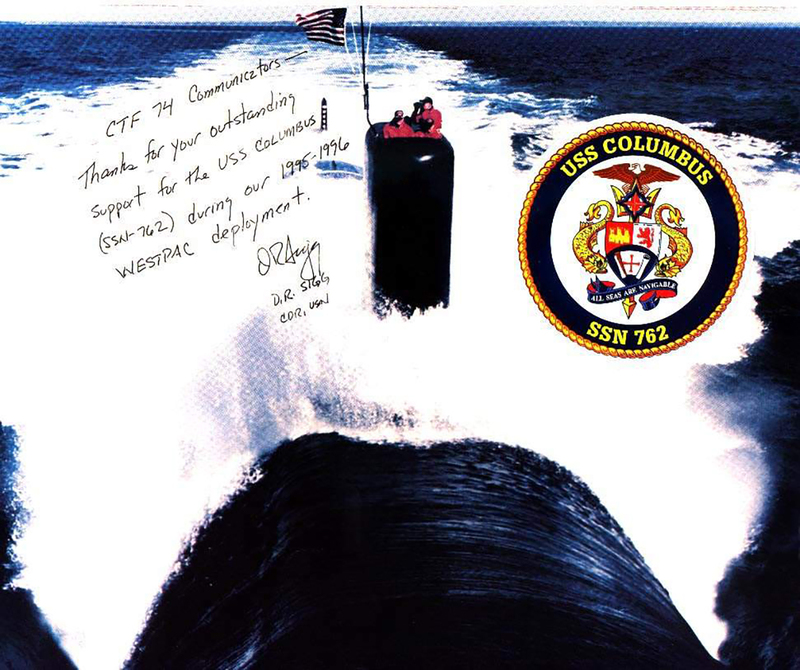 20k Commemorative postal cover marking the commissioning of the Columbus (SSN-762) at the Electric Boat Division of General Dynamics, Groton, CT., 24 July 1993. Courtesy of Jack Treutle (of blessed memory). 1.24k 13 photo Welcome Aboard PDF of the Columbus (SSN-762), 1995 / 1996. USN photos courtesy of Scott Koen & ussnewyork.com. 721k Bow on view from me to you during Columbus (SSN-762) during West Pac tour, 1995 / 1996. USN photo courtesy of Scott Koen & ussnewyork.com. 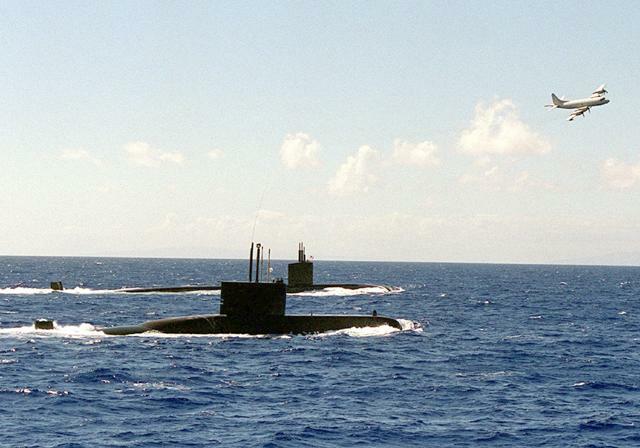 383k Port bow view of the Columbus (SSN-762) underway at sea on 1 January 1997. Official USN photo # DN-SD-04-09770, from the Department of Defense Still Media Collection, courtesy of dodmedia.osd.mil.& submitted by Bill Gonyo. 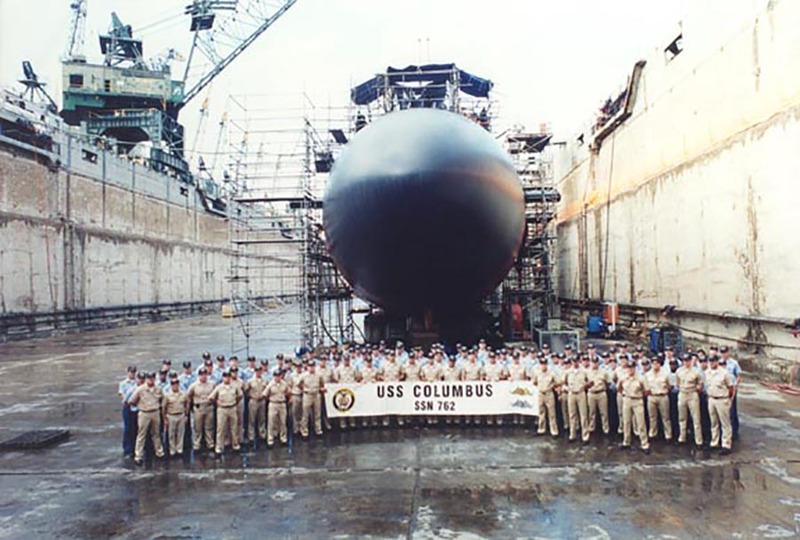 113k Columbus (SSN-762) and crew in dry dock, 1997. USN photo courtesy of Scott Koen & ussnewyork.com. 416k 18 photo PDF of the Columbus (SSN-762) as she conducts an emergency surface training exercise, 35 miles off the coast of Oahu, HI. 4 June 1998. USN photos courtesy of Scott Koen & ussnewyork.com. 42k Columbus (SSN-762), and the ROK submarine Lee Jong Moo (SS-66) (foreground) sail off the coast of Hawaii as a P-3C Orion patrols overhead during Exercise RIMPAC '98, 19 July 1998. USN photo # N-2619S-002, by PH2 August Sigur USN. Courtesy of the US Navy Chinfo Photo Gallery web site. 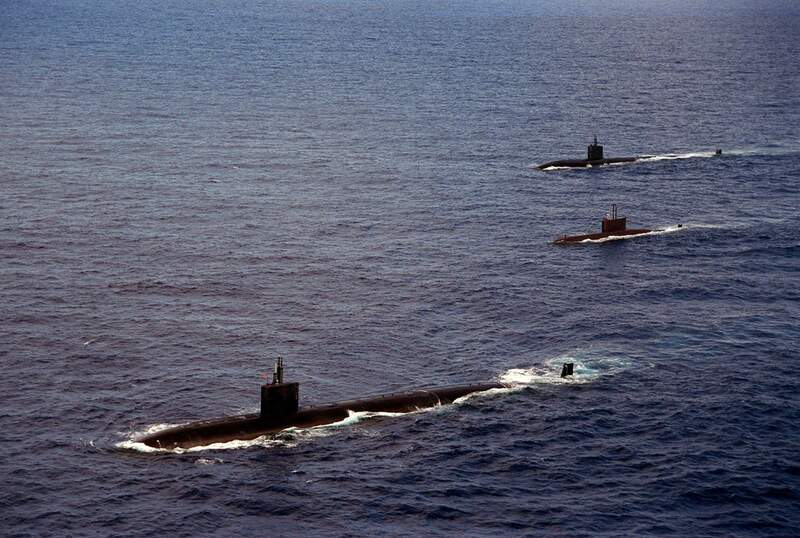 429k A trio of submarines, the Pasadena (SSN-752) (top), Republic of Korea Ship Lee Jong Moo (SS-66) (center) and Columbus (SSN-762), (bottom) patrol the Pacific Ocean during Exercise RIMPAC '98, 19 July 1998. USN photo N-5961C-001 by Photographer's Mate JO1 Spike Call, courtesy of news.navy.mil. 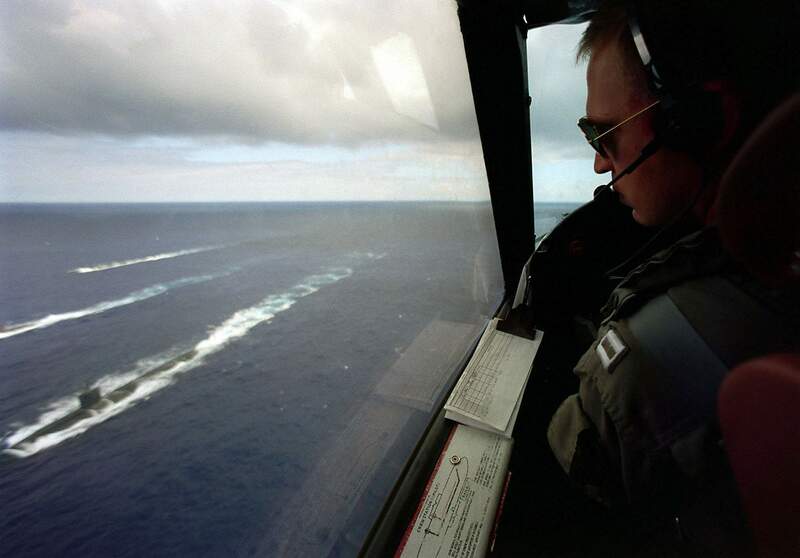 233k Flying 200 feet over the ocean during exercise RIMPAC '98, LT Daryl Lierman looks at a trio of submarines: the Pasadena (SSN-752) (top), Republic of Korea Ship Lee Jong Moo (SS-66) (center) and Columbus (SSN-762), (bottom) patrol the Pacific Ocean during Exercise RIMPAC '98, 19 July 1998 near Hawaii. USN photo # N-5961C=002 by Photographer's Mate JO1 Spike Call, from the Department of Defense Still Media Collection, courtesy of dodmedia.osd.mil. 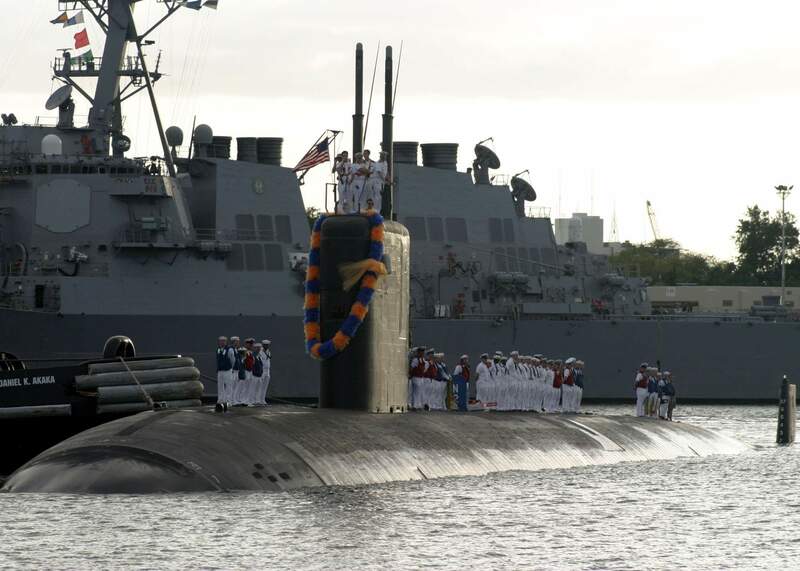 123k The Columbus (SSN-762), homeported in Pearl Harbor, Hawaii, returns from a successful Western Pacific Deployment (WESTPAC) on 9 April 1999. USN photo # N-0000X-001, courtesy of news.navy.mil. 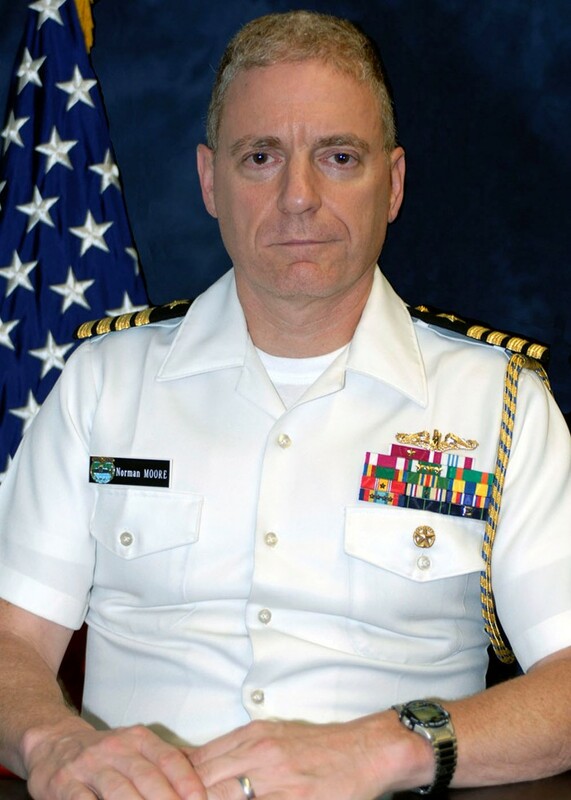 134k Captain Norman Moore served as the Commanding Officer of Columbus (SSN-762) in Pearl Harbor, Hawaii from 1999 to 2002, where he guided Columbus to completion of two highly successful Western Pacific deployments and a Navy Unit Commendation. Official U.S. Navy portrait courtesy of Bill Gonyo. 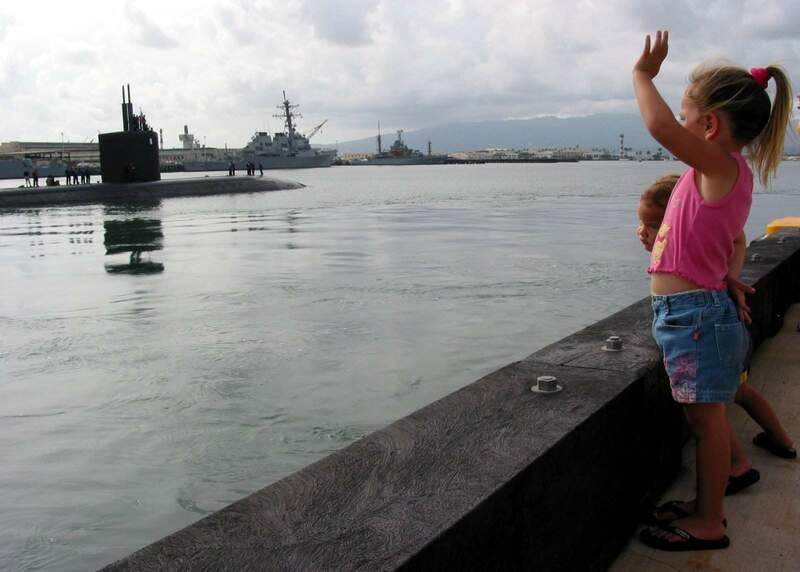 126k Family members watch and wave as Columbus (SSN-762) pulls away from the pier at Naval Station Pearl Harbor 28 October 2003 on its way to the Western Pacific. Columbus is on a regularly scheduled deployment. USN photo by JOC(SW/AW) David Rush, courtesy of the Hawaiian News Online. 283k One of P&R Water Taxi's three new Pearl Harbor Tug Boats the ASD Daniel K. Akaka, helps the attack submarine Columbus (SSN-762) back to her homeport of Pearl Harbor, Hawaii on 28 April 2004, following a deployment to the Western Pacific of more than six-months. The guided missile cruiser Princeton (CG-59) is in the background. USN photo by Photographer's Mate JO3 Corwin Colbert, courtesy of news.navy.mil. 160k The fast attack submarine Columbus (SSN-762) returns to Naval Station Pearl Harbor on 22 December 2006 just in time for the holidays. 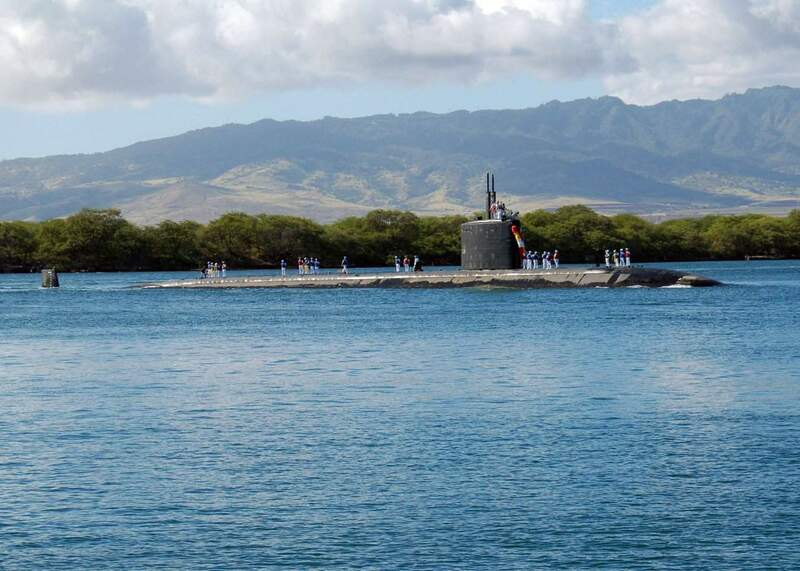 Columbus, homeported in Pearl Harbor, completed a two-year overhaul at Submarine Base Bangor, Wash. USN photo # N-9486C-001 by Mass Communication Specialist 1st Class Cynthia Clark, courtesy of news.navy.mil. 1.04k Polaris Point, Guam, 31 May 2012: The submarine tender Emory S. Land (AS-39) provides support services to the fast attack submarines Topeka (SSN-754), Tucson (SSN-770), Buffalo (SSN-715) and the Ohio-class guided-missile submarine Michigan (SSGN-727). fast attack submarines Chicago (SSN-721) and Columbus (SSN-762) are also moored in Apra harbor. Official USN photo # 120531-N-JS205-112, by Mass Communication Specialist Seaman Apprentice Samuel Souvannason courtesy of navy.mil. 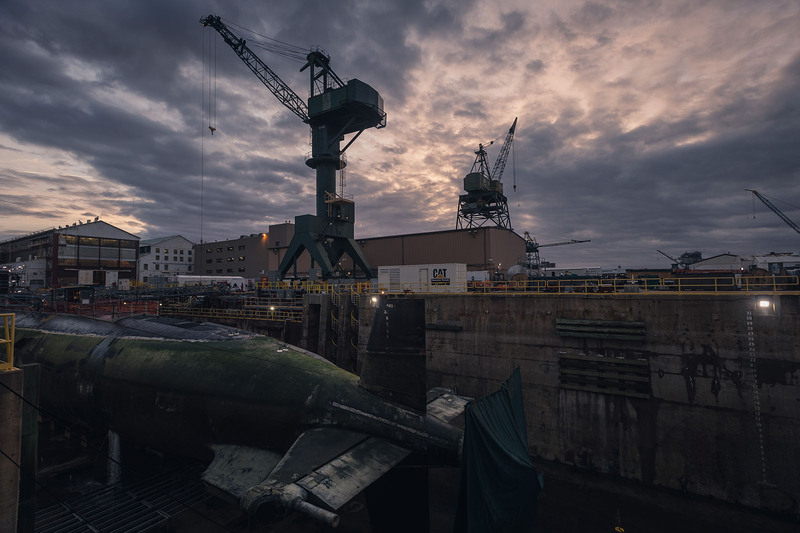 There is no DANFS History currently available for Columbus (SSN-762) at the Haze Gray & Underway Web Site, the main archive for the DANFS Online Project.